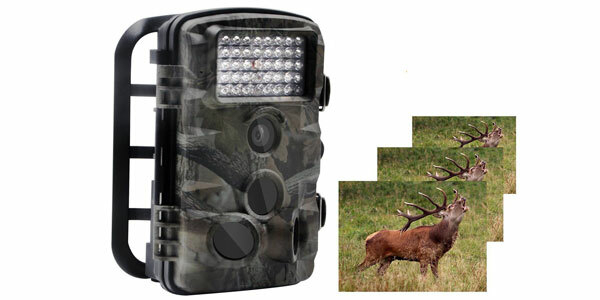 There are many excellent game camera models in the hunting marketplace. 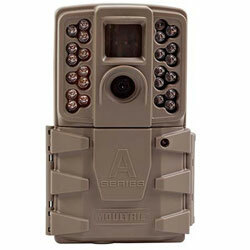 One of those we have been hearing good things about from fellow hunters is the Moultrie A-Series Game Camera. Read along with us as we take an in-depth look at this model game camera that’s a popular choice among hunters. 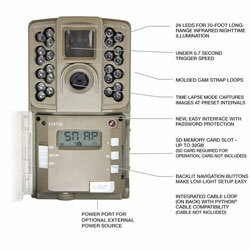 There is a lot to like about this particular model game camera. Moultrie certainly puts a lot of experience into designing its features. It’s day and night sensors work well and its fast shot response time once triggered is among the best you will find. It also covers a very wide range of area. If you position it correctly you can cover a wide swath of trail out to 70 feet in most cases. 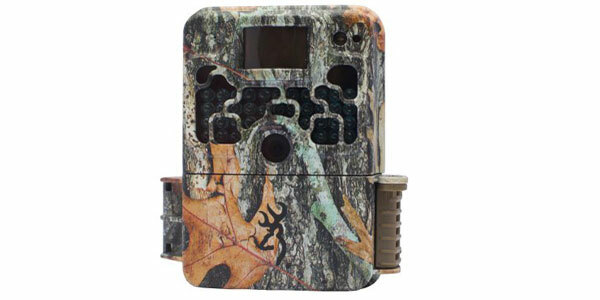 The Moultrie A-Series Game Camera also has the ability to take short 15 second bursts of high-quality video. This is a great feature to have if you want even more detailed information on the animals that are foraging near your trail cam position. There is an option to use this trail cam with a wireless remote connection if you purchase a separate Moultrie Field Modem to use in combination with it. One of the reasons Moultrie Trail Cameras are among the most popular is because of how well they are built. 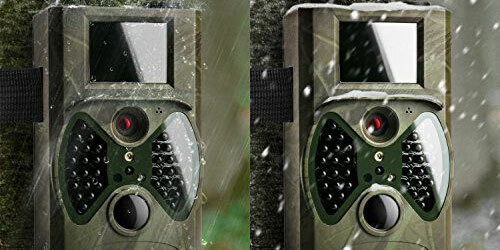 The Moultrie A-Series Game Camera is made using impact-resistant plastic that is also weatherproof. This trail cam mounts easily too. You just use its adjustable and secure 72” strap to mount it on any sturdy tree in the area you want to take trail photos. It’s estimated by the manufacturer that when using good AA batteries in this trail cam you can take some 30,000 photos before they need to be changed. We know people that have owned this particular camera and only have to change the batteries every 6 to 7 months. What do we like best about this game cam? Well for one we like its fast shutter trigger. How many times have you taken a look at your trail cam photos and caught only an animal’s backside or worse yet nothing at all? 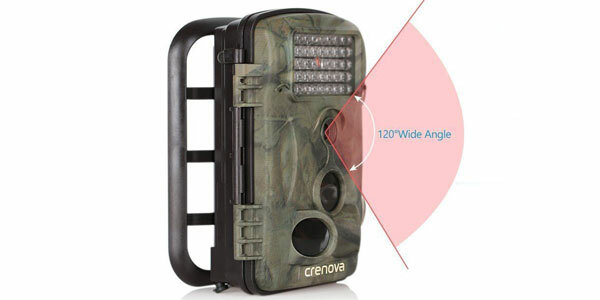 With a 0.7-second trigger speed from the time motion is detected that won’t be a problem at all with this trail camera. You also can’t overlook the high quality of the photos the Moultrie A-Series Game Camera takes. Most people would be happy taking 12-megapixel photos with their personal camera. So when you get this type of resolution in your trail cam photos it’s a nice bonus. You get to see the detail on the animals you need to make decisions on whether to hunt in that area or not. Game cameras tend to take a beating because they are fully exposed to harsh elements at the most extreme times of the year. That is why having a trail cam that’s backed up by a 2-year warranty like this one from Moultrie is great. The questions and concerns we had with this model trail cam are minor in nature. One of them is you will definitely have to read the owner’s manual one or two times to figure out how to program its different features. 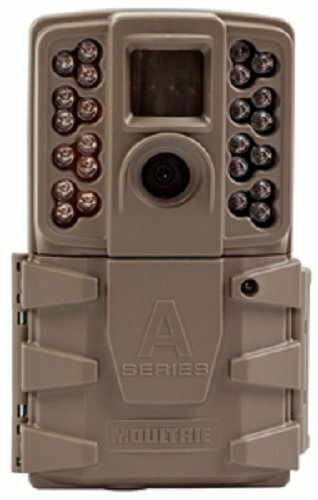 There are many programming options with this game cam which is a good thing once you learn how to use each of them. We also don’t like the fact that it has no included SD card. Moultrie knows that everyone will need one to use with it so why not include it! 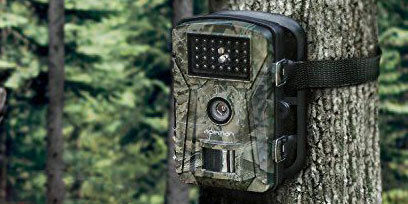 We all are definitely in agreement that the Moultrie A-Series Game Camera is a top of the line trail camera. It just has so many features that take the guesswork out of identifying prime hunting areas. The day and night photos it takes are exceptional and it has a trigger response time that is almost instantaneous. It’s built tough, is weatherproof and mounts easily on just about any tree too. 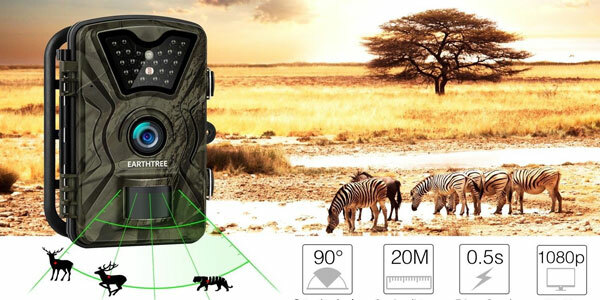 If you are a serious hunter and you want a reliable model trail cam, the Moultrie A-Series Game Camera is one you should highly consider among all quality trail cameras for sure.